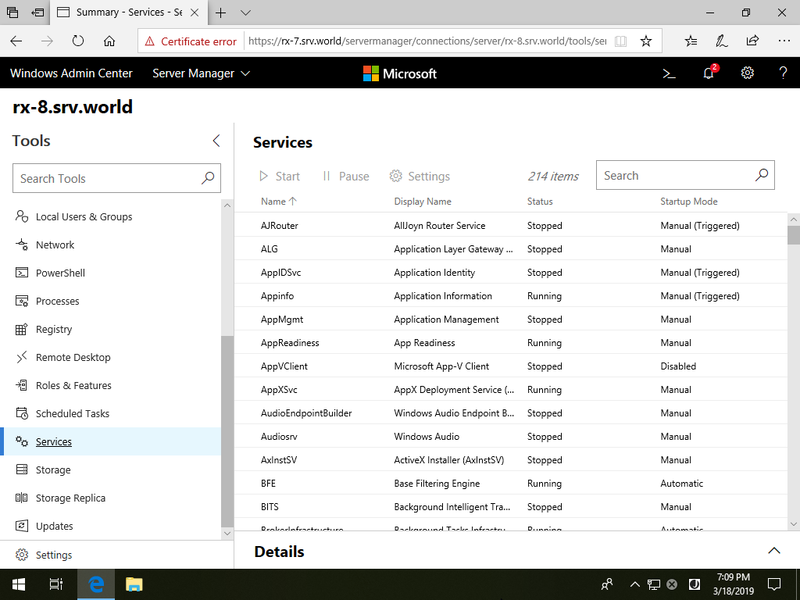 This is the Overview of each Item on Windows Admin Center Web Console. 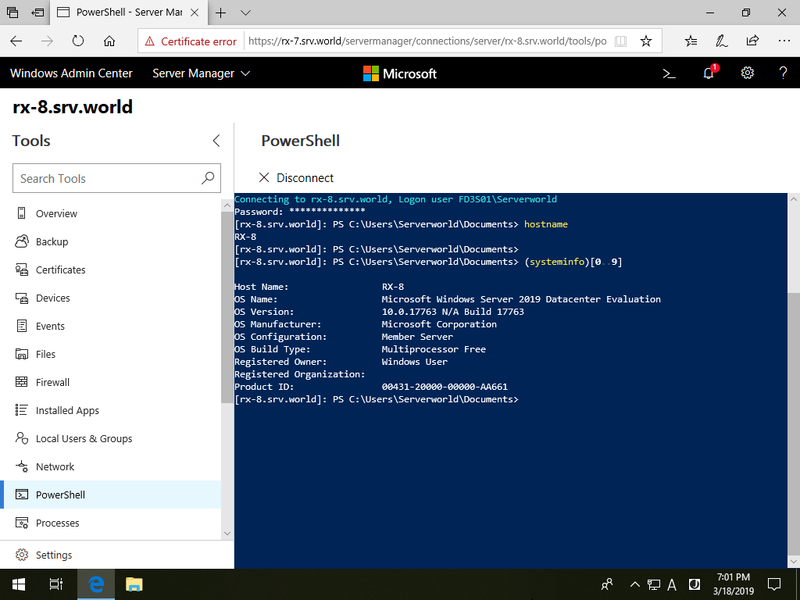 For [PowerShell] on the left pane, it's possible to manage or configure the target Host with PowerShell Cmdlets directly. 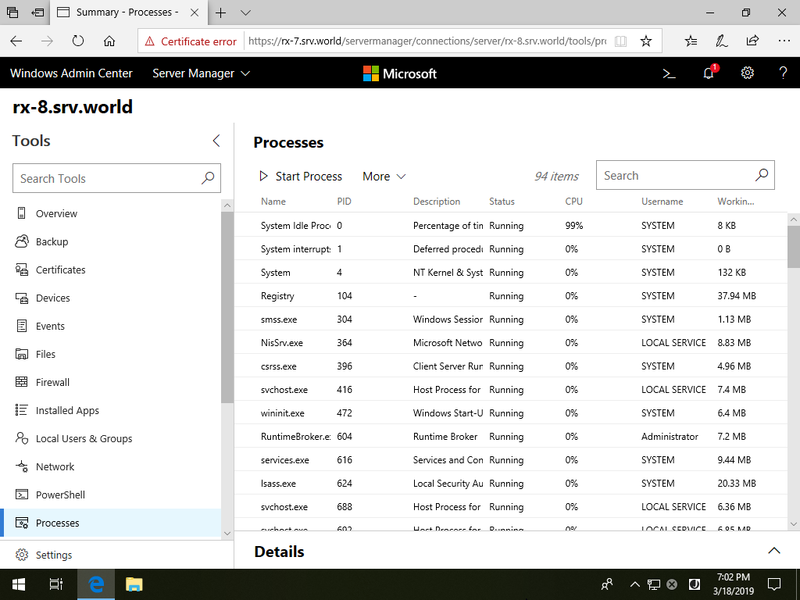 For [Processes] on the left pane, it's possible to manage processes. 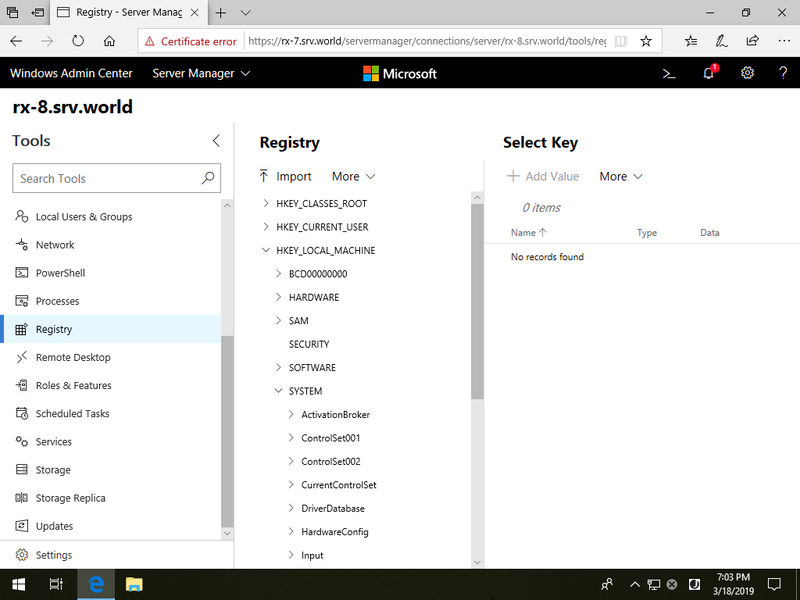 For [Registry] on the left pane, it's possible to manage Registry Keys. 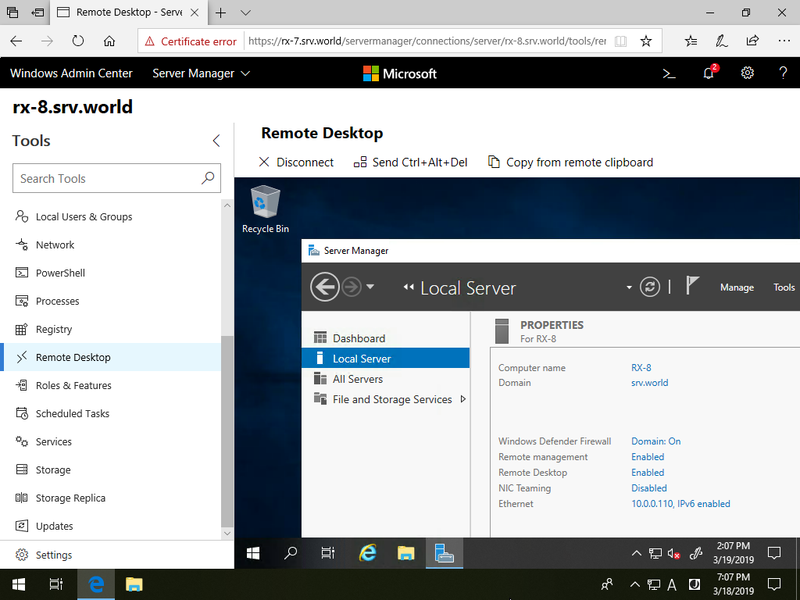 For [Remote Desktop] on the left pane, it's possible to connect to the target Host with Remote Desktop. It needs Remote Desktop is enabled on the target Host first. 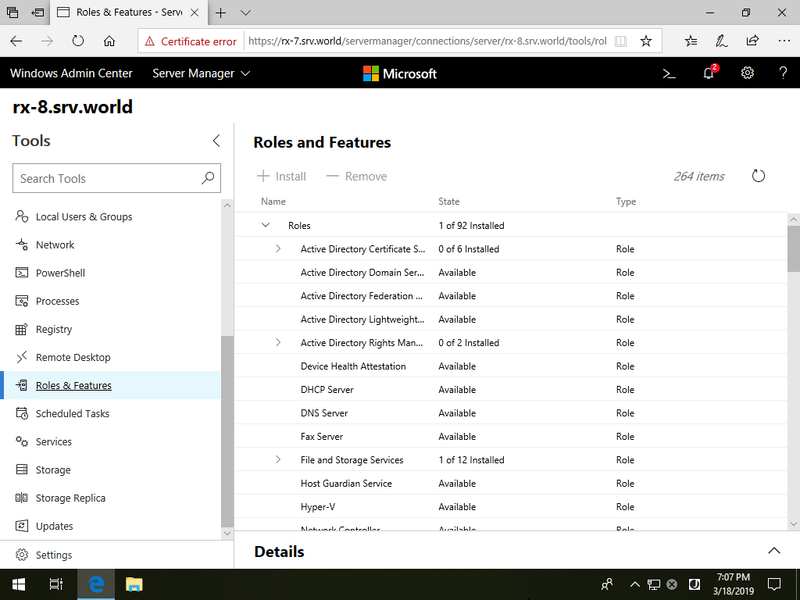 For [Roles and Features] on the left pane, it's possible to install or remove Roles and Features. 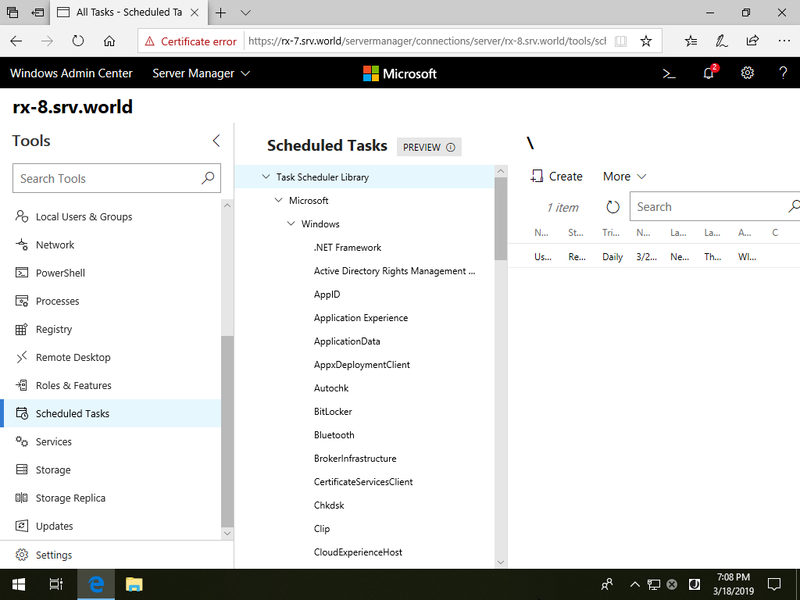 For [Scheduled Tasks] on the left pane, it's possible to manage tasks, it's the same feature with Windows Task Scheduler. For [Services] on the left pane, it's possible to start or stop services. 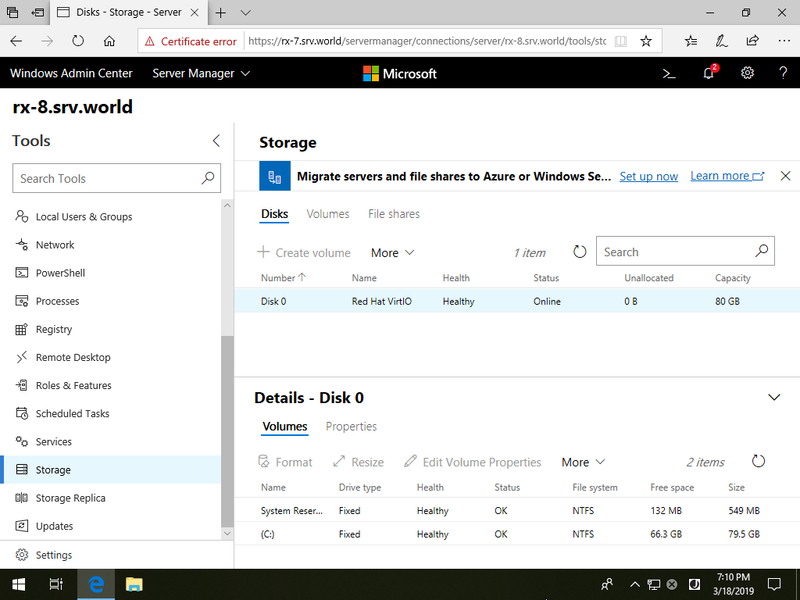 For [Storage] on the left pane, it's possible to manage disks that are attached on target Host. 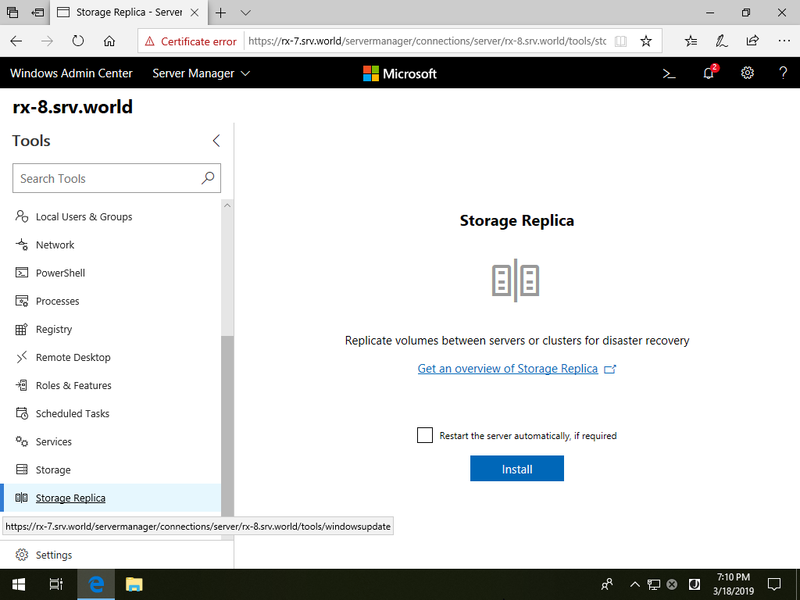 For [Storage Replica] on the left pane, it's possible to install and configure Storage Replication feature. 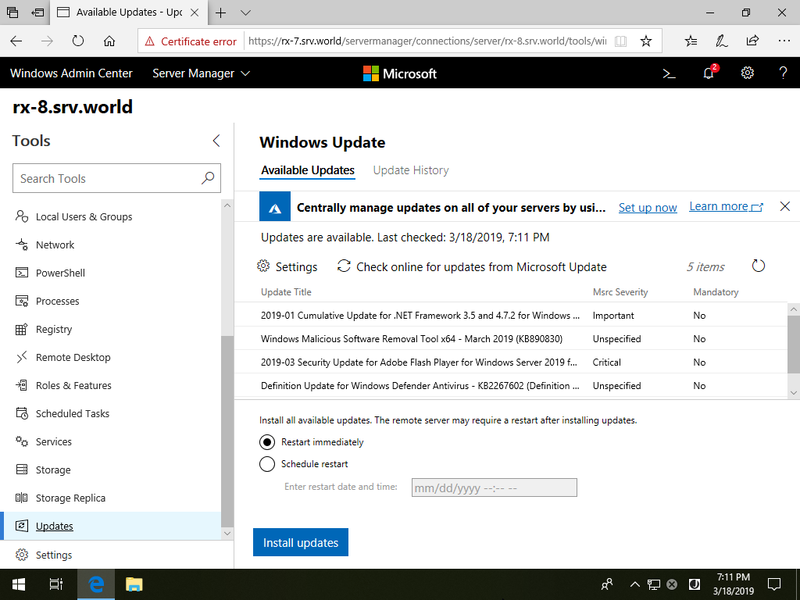 For [Updates] on the left pane, it's possible to manage Windows Updated programs. 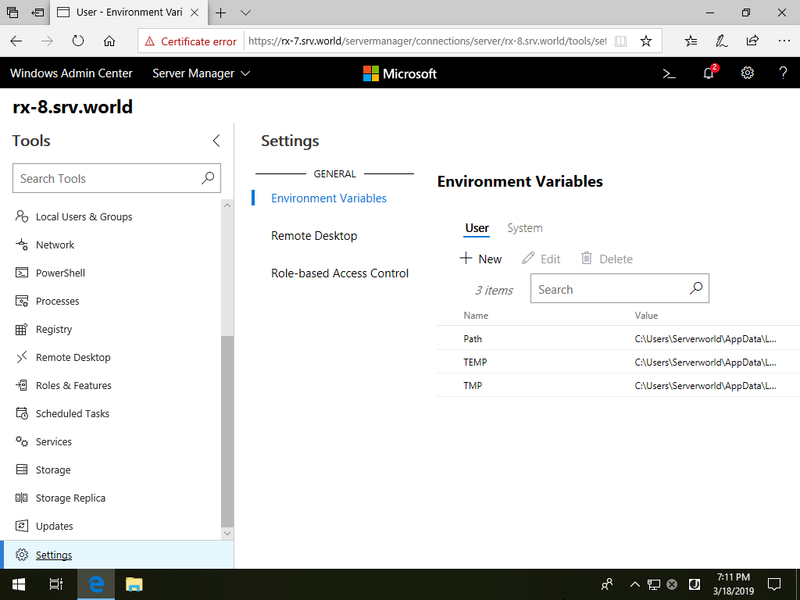 For [Settings] on the left pane, it's possible to configure Environment Variables or Remote Desktop setting and also Access Controls on the target Host.